Taga Casle (多賀城, tagajo) is the one of the oldest ruins of Castle in Japan which built in 724. It was also the Mutsu provincial center, and the base for the administration of Tohoku region during Nara to Heian periods (8th to mid 10th century). It is also one of the 100 best Japanese castles. There is tour guide. Free Parking. Taga Castle was enclosed in the out line division facilities, and the gate was opened to the south, the east, and the west. The Seicho, pivotal government office, was almost put on the center, and the other public office was arranged in the smoothness part. 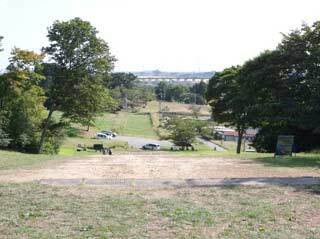 The Seicho was divided in the reclaimed land wall with all sides of about 100m. There was a main palace in the center north inclined to it. The east and west side palace put it on the position of the symmetry forward. The south gate was opened in front of the main palace. The gate of the peirod was characterized by its eight pillars.